Humans make sense of the world through story-telling. We all love good stories, but they may be especially meaningful for those whose brains operate just a bit differently — and for those of us who know and love them. Award-winning San Diego author Sally J. Pla has written two highly acclaimed books that touch upon what life is like with a slightly different neurology: “The Someday Birds,” and “Stanley Will Probably Be Fine.” She is eager to share why she felt compelled to write them, and what her ongoing literary mission may be. 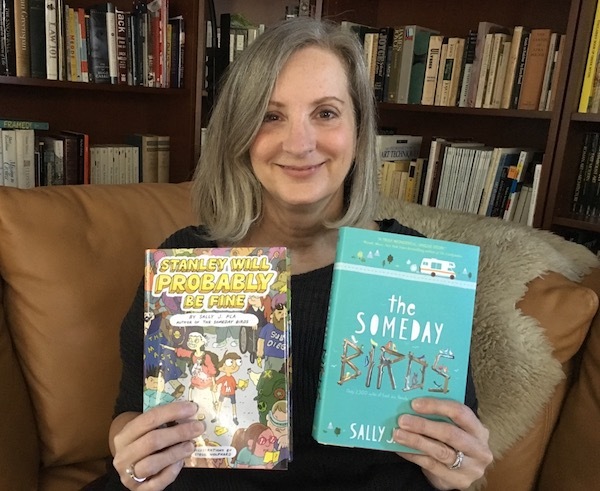 San Diego author Sally J. Pla recently received the national Dolly Gray Children’s Literature Award for her debut novel “The Someday Birds” (Harper Collins, 2017). The award recognizes high quality books for children, adolescents, and young adults that authentically portray individuals with special needs. Pla’s protagonist is a 12-year-old boy with autism, though the focus of the book is his cross-country road trip to visit his father. As a mother of a son with autism, Pla wanted to write stories that featured neuro-diverse characters involved in a variety of different activities. She said there are some excellent books featuring autistic characters, but not enough. And she’s troubled by how many books seem to be written with the sole purpose of enlightening neuro-typical children about why their autistic classmates behave the way they do. “They are well-intentioned, but I hope we can realize that this can also be a little ‘othering’ and ‘pathologizing,’” she said. Pla says her books take a different approach. Pla’s passion for incorporating autistic characters into her children’s books was sparked by her desire to create stories that would resonate with her son. It took on new life as she began to write, though. When she gave friends advance copies of “The Someday Birds,” they asked how she was able to capture Charlie’s, um, unique mentality, but to her it came very naturally. “To me it was pretty much normal, it was my own childhood voice, and the book was reminding me of things I’d pushed away and forgotten,” she said. Pla recalls her childhood as one where she spoke very little and had periods when she was selectively mute. She still suffers from many of these challenges though she has learned to manage them more as an adult. This led Pla to seek a psychological evaluation, which confirmed what she suspected: She too, was on the autism spectrum. As she accepted her Dolly Gray Award for her first novel, launches her second, and drafts her third — the story of an autistic girl — she does so with renewed appreciation for the importance of accurately reflecting autism in children’s literature. She’s hopes her books shed light on that, especially as we learn more about how many people are affected by autism. 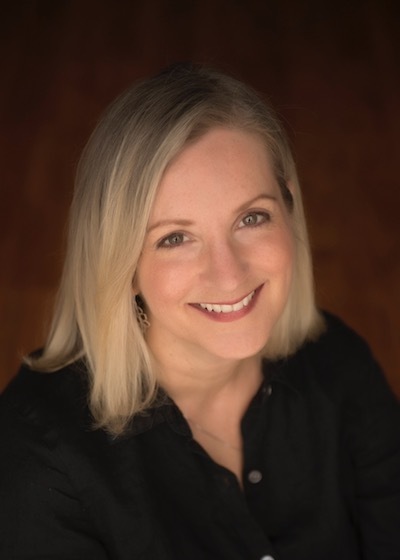 —Jennifer Coburn can be reached at jen@jencoburn.com. This is how I feel about my son, who is diagnosed with autism, as well. His “quirks” are all things I can relate to. He loves going up and down stairs, and while I didn’t have that fascination, I loved to climb. I would see trees, and in my head, I would imagine how I would climb it. My son is the same, except it is for stairs. He also has a very vivid imagination and does scripting. I didn’t do scripting exactly, but I do remember acting out movies (Ninja Turtles, American Ninja, lots of Ninjas in the 90’s) and that is bascially what he does. He just doesn’t hide it. I am excited to read the book and have my son read it when he gets to that age.